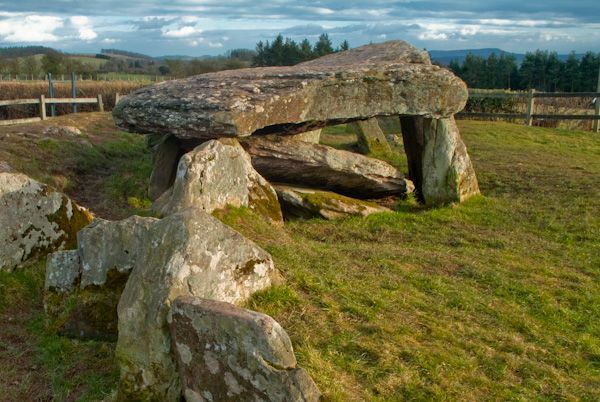 Arthur's Stone is a Neolithic burial chamber on a low hillside overlooking the River Dore and Herefordshire's Golden Valley. 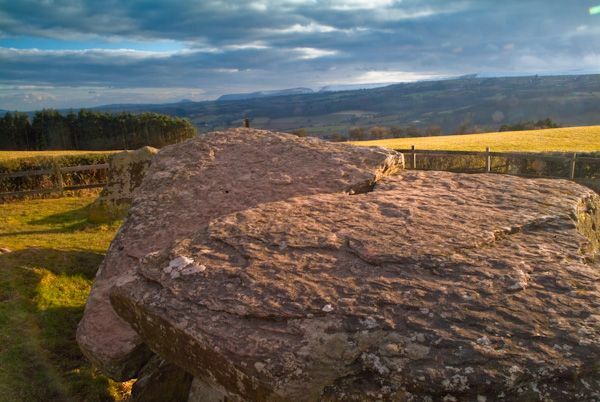 The chamber is built of large slabs of stone which would originally have been covered with turf. 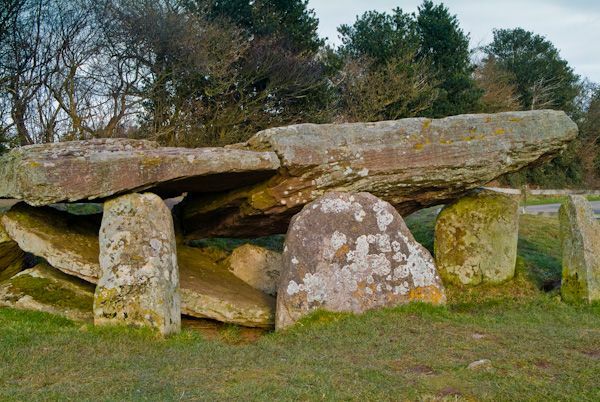 Inside the turf mound, the stones were arranged to create a cromlech with an entrance passage. 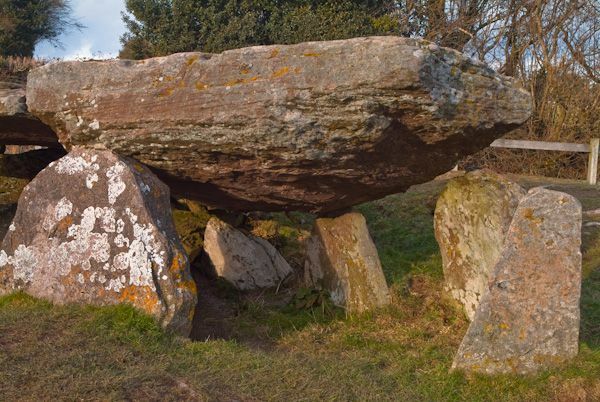 There are nine stones shaping the chamber with five of the stones supporting a huge capstone. A further 9 stones make up the entrance passage almost a metre wide. Interestingly, the passage starts off almost due east to west before taking a sharp dogleg to the south. Near the chamber are a further two standing stones, which may originally have been part of a trilithon. If so, the lintel stone is no longer in place. All of the stones were originally covered by a broad oval mound, measuring roughly 22 metres by 19 metres. Several kerbstones lie at the outer extremity of the mound. 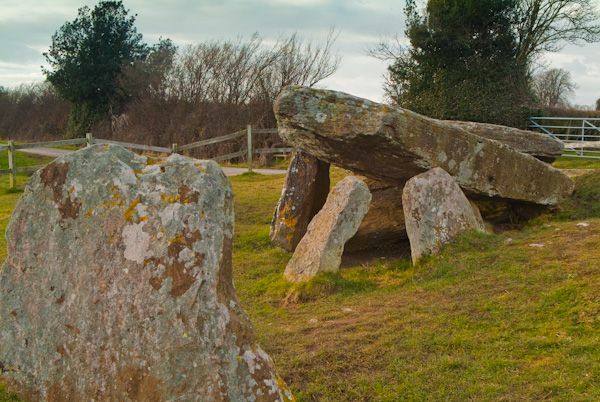 A Neolithic settlement on nearby Dorstone Hill may be associated with Arthur's Stone. 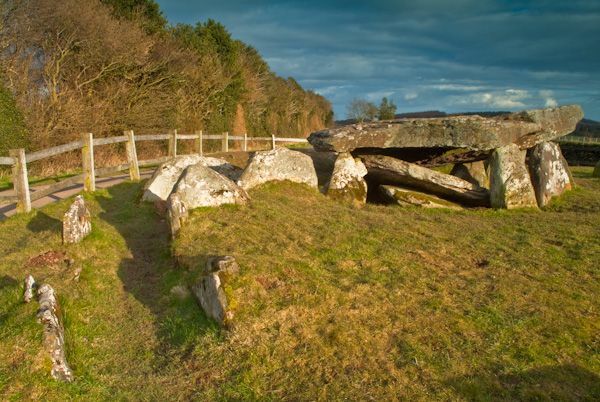 The association of this ancient site with King Arthur appears to date from at least the 13th century, if not earlier. 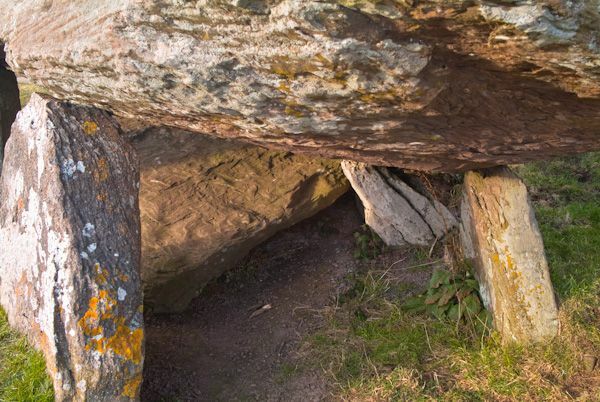 Local legends say that Arthur killed a giant on this spot, and when the giant fell, his elbows made an impression in one of the stones. 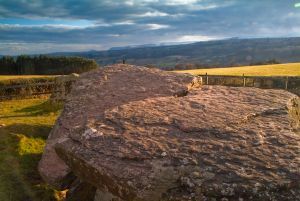 Similar stories associating King Arthur with prehistoric sites are told throughout Herefordshire and the Welsh borderland. Location: On a minor road off the B4348 north of Dorstone. Open access site.